Enjoy the ‘pure life’ in this spacious 2 person apartment. a breathtaking location in the historical town centre of Dordrecht. As a vacation home or a long stay apartment, PuraVida Bed & Breakfast Dordrecht offers all conveniences. The apartment is situated in the historical town centre, featuring a magnificent view of the ‘Nieuwe Haven’ marina and the medieval ‘Great Church’. All the city’s amenities such as shops, public transport and museums are all within walking distance. 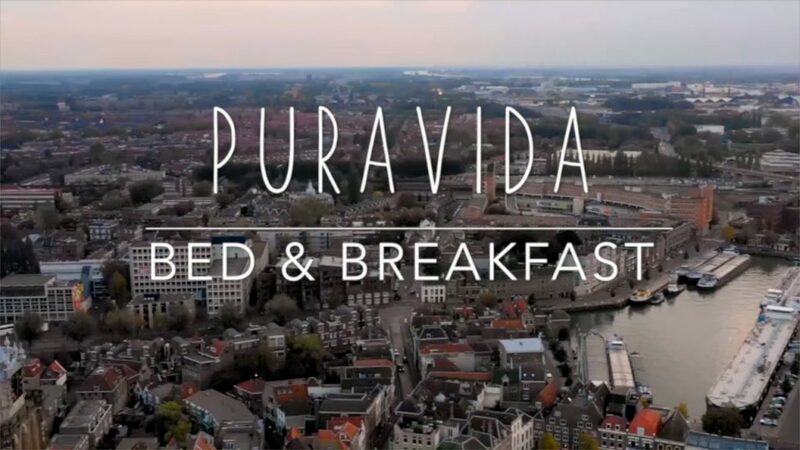 Whether you’re visiting Dordrecht for a city trip or to enjoy the unspoiled nature reserve ‘Biesbosch’, at PuraVida Bed & Breakfast Dordrecht you’ve come to the right place. Dordrecht is a fascinating city to explore and experience.